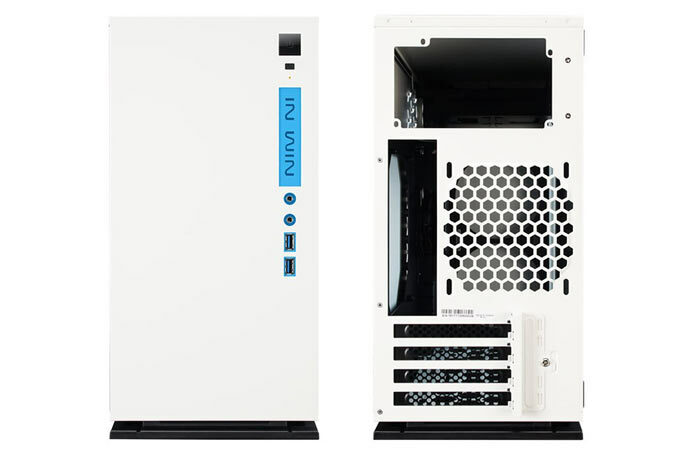 In Win has today launched a new Micro ATX chassis. 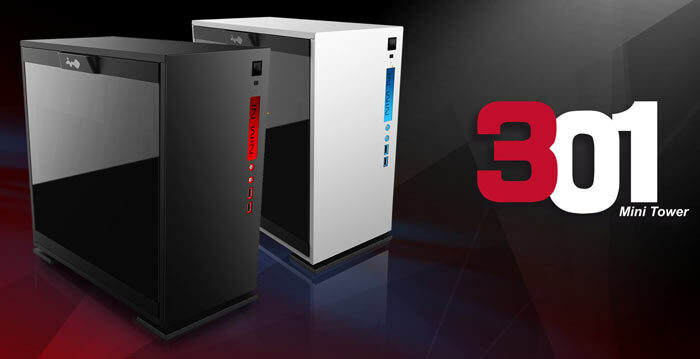 The In Win 301 minitower PC chassis is said to be targeted at PC gaming and performance enthusiasts who would appreciate a smaller form factor system. It takes its design cues from the last year's 'premium affordable' In Win 303 ATX model but distils the design to a more compact size (365 x 208 x 370mm). In describing the new In Win 301 the company starts by reassuring would-be buyers that construction materials and finishing attention to detail remain the same as with the 303. The chassis is made from 1.2mm SECC steel, sports a tool-less push button release tempered glass side panel, and features the same hexagonal ventilation design as its bigger brother. In Win boasts that the clean cut and refined look "will suit any home or gaming environment". For convenience In Win positions 2x USB 3 ports and HD audio I/O on the front of the chassis. With a smaller chassis there's greater concern about what components you can fit and maximum compatibility figures. So let's get onto that topic now. Inside the 301 offers; one 2.5/3.5-inch bay, plus two more 2.5-inch SSDs and four PCI expansion slots to match micro ATX motherboards, for cooling there's room for both 240mm plus 120mm water cooling radiators at the front and rear respectively, two 120mm fans can be fitted in the chassis base, CPU cooler and Graphics card maximum compatibility figures are 158mm tall, and 330mm long, respectively. In Win says that it is also possible to fit a Mini-ITX motherboard in the 301 if you wish. Furthermore, inside the chassis you will be pleased with the attention to detail with detachable cable management, a graphics card support bracket, and a dust filter over the hexagonal in-take vents. Like with the 303 this smaller chassis houses the PSU in a top compartment where cables can be kept out of view. 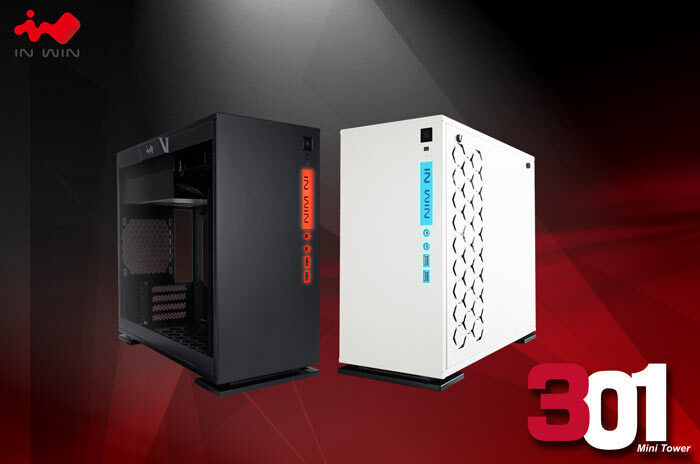 The new In Win 301 is being made available in black with red trim, or in white with blue trim. It will retail with a recommended price of $69. i own the 303 and its a lovely case to work in and look at when on. this looks just as good. i will say thats its not good for sli'g though if you want the fans in the base; it doesn't fit with double height cards. just not enough room. lovely well made cases though. HardwareCanucks did a video review of this a couple of weeks back. Apparently the cable management and air flow is rubbish. 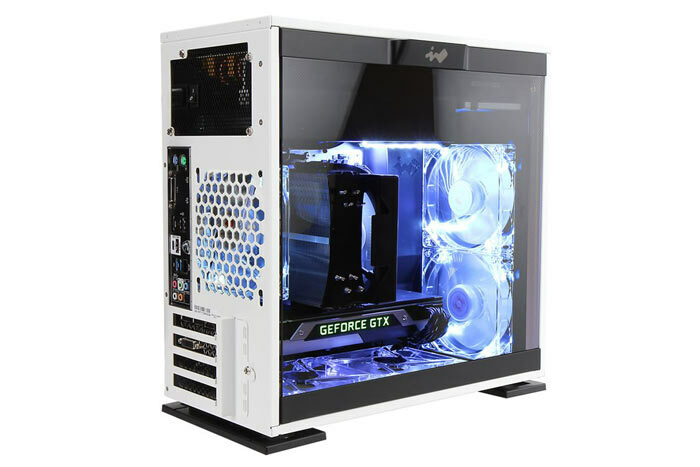 However i will still buy it because it's a mATX case with tempered glass. I would choose the revised mATX tempered glass Phantecs Enthoo Evolv instead but next to the InWin 301 it's quite a bit larger. I rather like that. In Win have come a long way since their super-budget cheap and nasty cases of just a few years ago, but even those often had features you didn't see in some premium cases. I've had an 805c and probably still would, if I wasn't so intent on smaller form factors - it was a lovely chassis. My server is in an In Win box too, the IW-MS04.